The premium cigar industry group in Texas that filed a lawsuit earlier this year challenging the U.S. Food and Drug Administration’s Final Deeming Rule has now filed a legal motion seeking preliminary relief from the agency’s warning requirements. Or, as an alternative, the group wants the court to stop the FDA from enforcing the requirements, which are scheduled to go into effect on August 10, until a final decision is resolved. The Texas-based group, which includes En Fuego Tobacco Shop, El Cubano Cigars, and the Texas Cigar Merchants Association that represents 43 premium cigar manufacturers, retailers and distributors, filed the partial summary judgment last week in the U.S. District Court for the Eastern District of Texas. 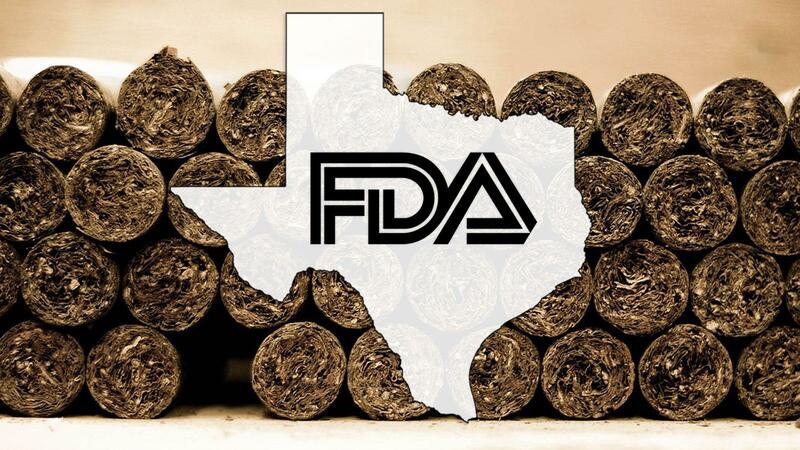 The Texas FDA lawsuit is separate from the lawsuit that the cigar industry filed in Washington D.C. back in 2016, which is still ongoing. While the D.C. litigation represents the entire cigar industry, including premium cigars, little cigars as well as machine-made and mass-market cigars, the Texas lawsuit focuses solely on premium, handmade cigars. The Texas group’s main contentions, outlined in the document filed last week, are that the new FDA’s warnings violate the group’s First Amendment rights, as well as the Administrative Procedure Act and the Family Smoking Prevention and Tobacco Control Act, also known as the Tobacco Control Act, which granted the FDA regulatory authority of the entire tobacco industry. Currently, nearly every cigar package on the market displays one of four warnings that was settled upon in 2000 when the Federal Trade Commission and the seven largest U.S. cigar manufacturers at that time agreed to include health warnings on their products, including advertisements. The FDA's new warning requirements not only adopt the FTC's but build upon them, too. The new warnings, which affect both manufacturers and retailers, must cover 30 percent of the two principal display panels of every cigar box and 20 percent of nearly every communication with consumers, which includes advertising, websites and even social media posts. A mockup of an El Cubano cigar box depicting how the new FDA warning labels would appear. “If a local tobacconist like En Fuego sends a flyer or an e-mail, maintains a website or a Facebook account, or posts a description of the qualities of a cigar in his store, all must bear the warning,” the filing says. The document continues by arguing that the actual language on the warning labels is “not purely factual and uncontroversial as applied to premium cigars.” Furthermore, the warnings “provide an incomplete and thus misleading picture of the health risks” associated with premium cigars. In fact, the document says, the FDA’s own staff analyzed data showing that the “median premium cigar consumer smokes 1.7 days per month and 93 to 97 percent of premium cigar consumers smoke less frequently than daily. Studies by the FDA staff, in turn, show no statistically significant increase in mortality for those who smoke cigars less frequently than daily.” Moreover, the FDA has previously shown that underaged use of premium cigars is so rare that it can’t be reliably measured. The FDA essentially admitted that premium cigar usage not been studied enough when it announced on March 23 that it would be reexamining the category. Additionally, the new FDA warnings require both manufacturers and retailers to submit a “warning plan” one year in advance for agency approval.